Home loan interest rates determine the loan’s affordability. You may have taken a home loan at a particular interest rate; however, with time, you may find other home loans with a lower interest rate. 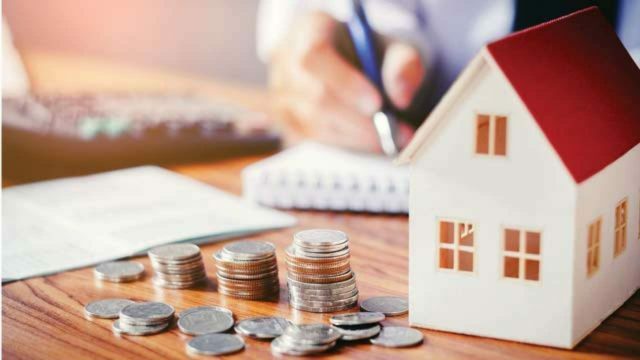 In such a scenario, when you have a majority of the tenor of your home loan ahead of you, you can decrease your EMIs by opting for a home loan balance transfer, which is also known as refinancing your home loan. Take a look at the advantages of refinancing a home loan. The primary objective of switching to a new lender is to gain a better rate of interest. Seeking a Home Loan Transfer helps you do this as long as you choose the right lender to transfer your loan to. With a lower rate of interest, your EMIs will become more affordable, and repayment more convenient. You can use the amount that you save after transferring your home loan to prepay a part of the loan at a later date or to invest as a tactic to grow your wealth. Repayment can be strenuous if your current lender has rigid terms and isn’t willing to negotiate. However if you shift to a new lender, such as Bajaj Finserv, you can enjoy a 3 EMI holiday. This is a facility that enables you to delay your EMIs by 3 months, right at the start of the tenor. The aim is to give you time to arrange your finances for repayment and take the first three months to deal with any other expenses, home-related or otherwise, that you may have. Apart from this, the loan also offers you the option to prepay or foreclose your home loan at any point during the tenor, without having to pay any fees or penalties. The Flexi Hybrid Loan offered by Bajaj Finserv is a unique facility that you can make use of when you avail a home loan balance transfer. It allows you to pay interest-only EMIs at the start of the tenor for a period of up to 4 years. Thereafter, you can start paying full EMIs. This facility further helps you make repayment affordable until you have the finances to pay EMIs consisting of payment towards the interest as well as the principal. Depending on the lender you choose, you can also benefit from other features like online account management and a top-up loan. Online account management is a unique facility that allows you to view all the details of your home loan online, no matter where you are or what time of day it is. This means that you can conveniently view principal statements, interest statements and your loan balance online, by entering your user ID and password. You can also enjoy other benefits such as accessing a top up loan. This can come handy if you need a surplus of funds for home improvement, repairs or renovations, or any other purpose just as your child’s education expenses or healthcare needs. This loan is available at a nominal rate of interest and enjoys the same long tenor as your home loan. As a result it is an easy, and extremely affordable way to seek finance. Before you decide to refinance your home loan, weigh your current EMI and loan terms against the new terms and EMI. Switch your home loan only when your total savings are going to be significantly higher. Use a home loan transfer calculator to see you how much you will end up saving before you apply for a transfer.